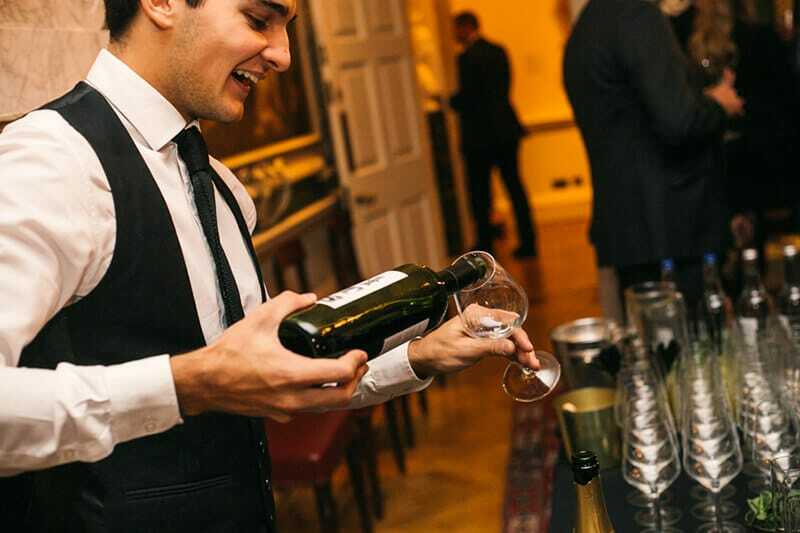 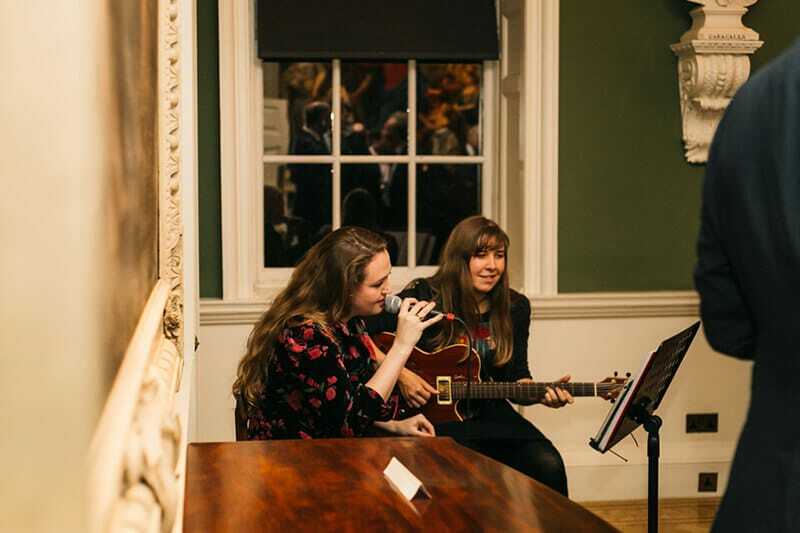 An evening reception for a fintech firm in the wealth management space, as they welcome board-level clients to London's Foundling Museum for an evening of jazz and private tours. 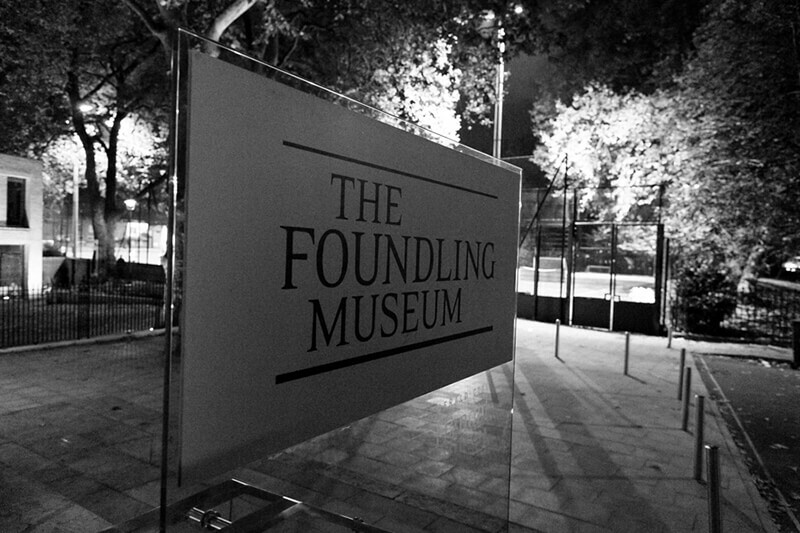 Located in Brunswick Square, the Foundling Museum is a unique heritage venue, home to both its own collection telling the story of the Foundling Hospital – the UK’s first children’s charity and the first public art gallery – as well as the Gerald Coke Handel Collection, an internationally-important collection of material relating to composer George Frideric Handel and his contemporaries. 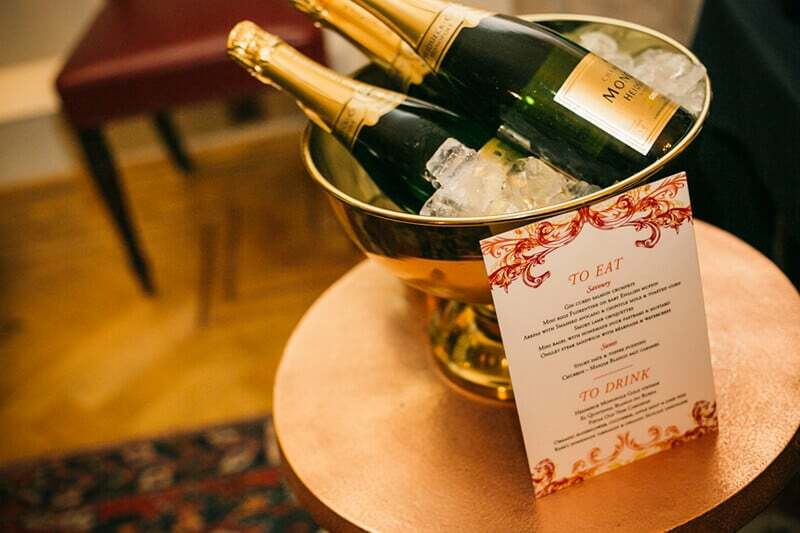 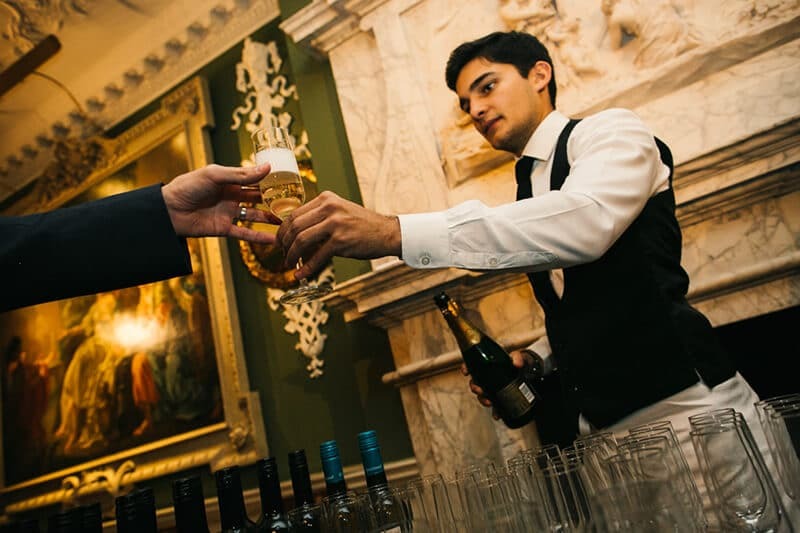 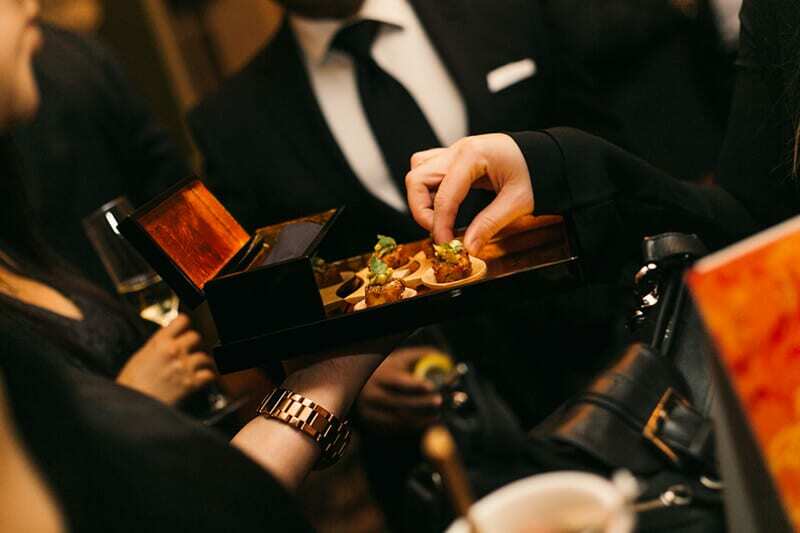 We greeted around 70 C-level guests to the Autumn Party, handing each of them a glass of Heidsieck Monopole Gold Vintage champagne as they arrived. 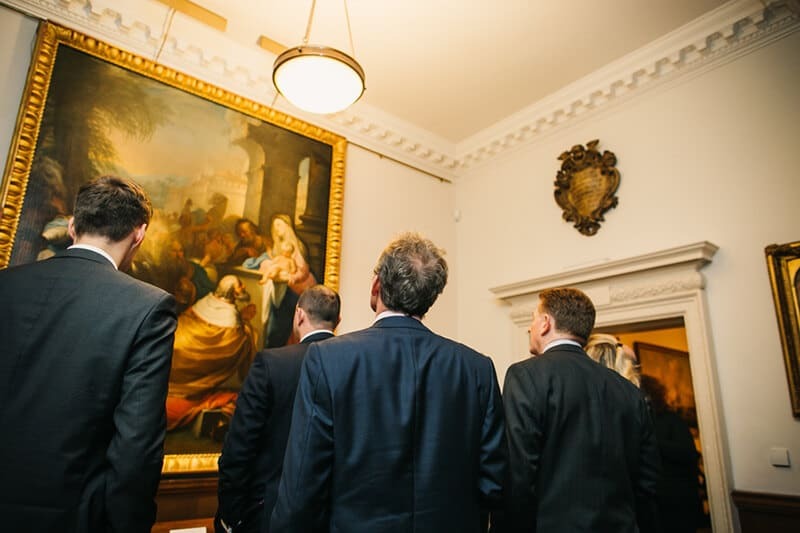 The reception was held in the Court Room, one of the best surviving Rococo interiors in London and the place where the Foundling Hospital Governors conducted business. 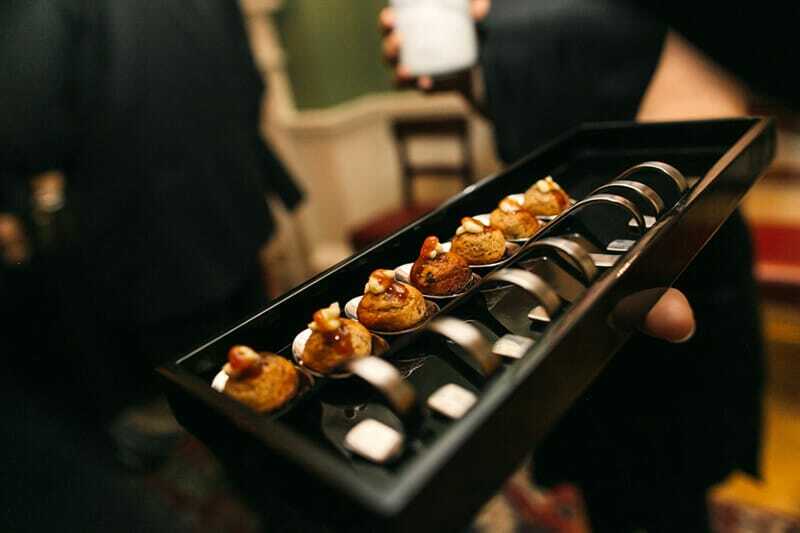 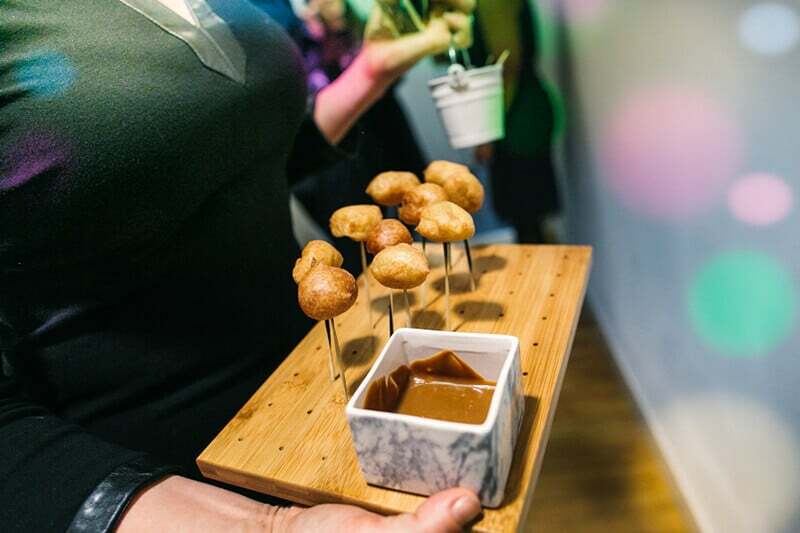 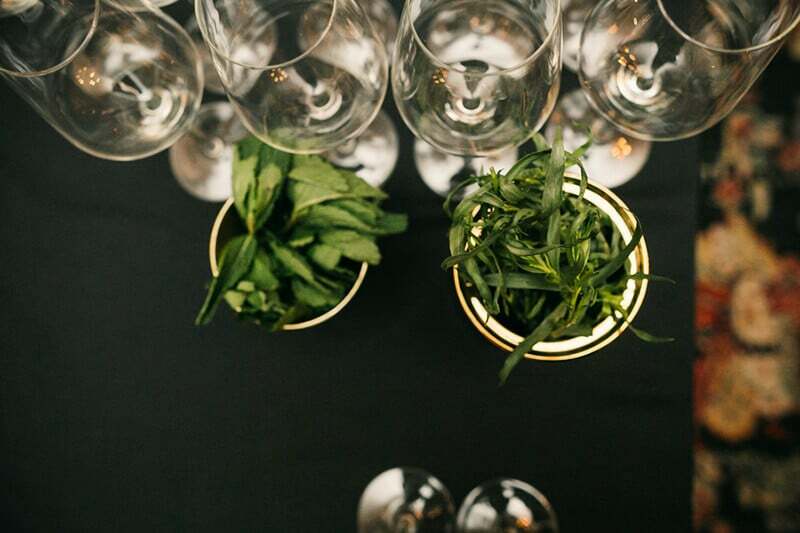 While jazz singers created a welcoming atmosphere, we served beautiful savoury and sweet canapés with champagne, wine and homemade organic soft drinks. 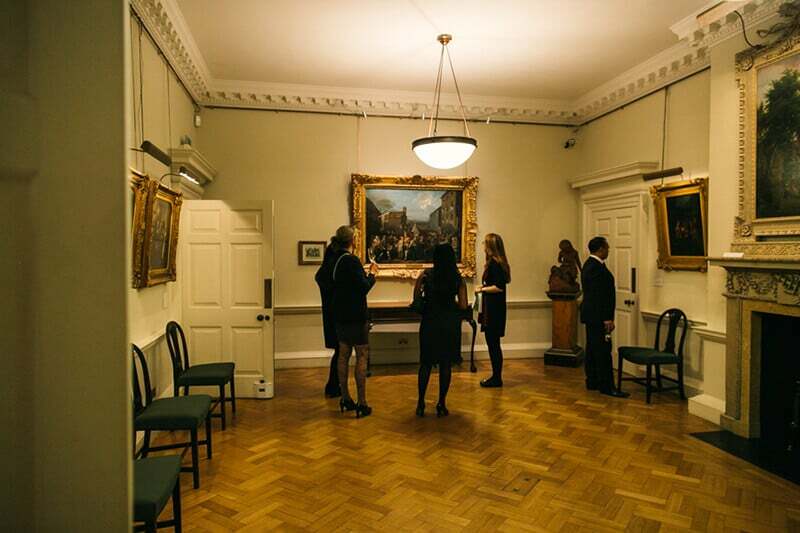 During the evening the museum curators held two mini-tours. 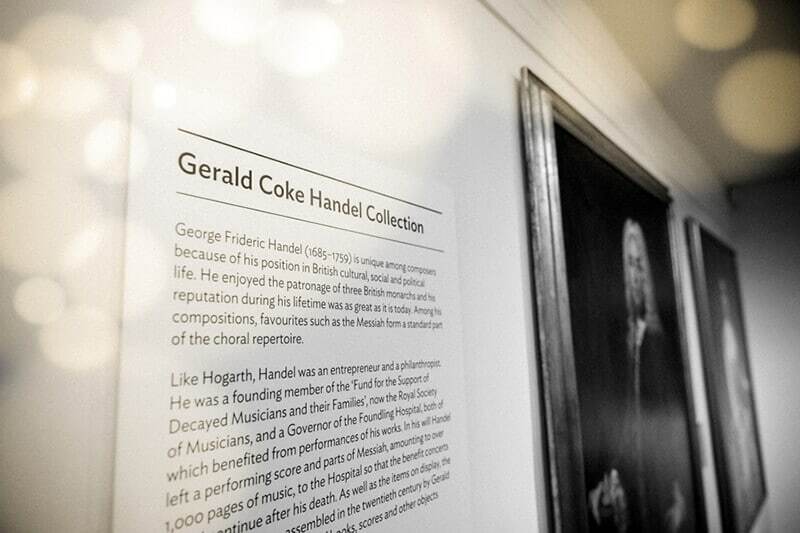 The first tour highlighted the Foundling Museum collection and the Tokens, as well as the art collection that features work by Hogarth, Gainsborough, Reynolds and Rysbrack at its heart, while the second explored the Gerald Coke Handel collection. 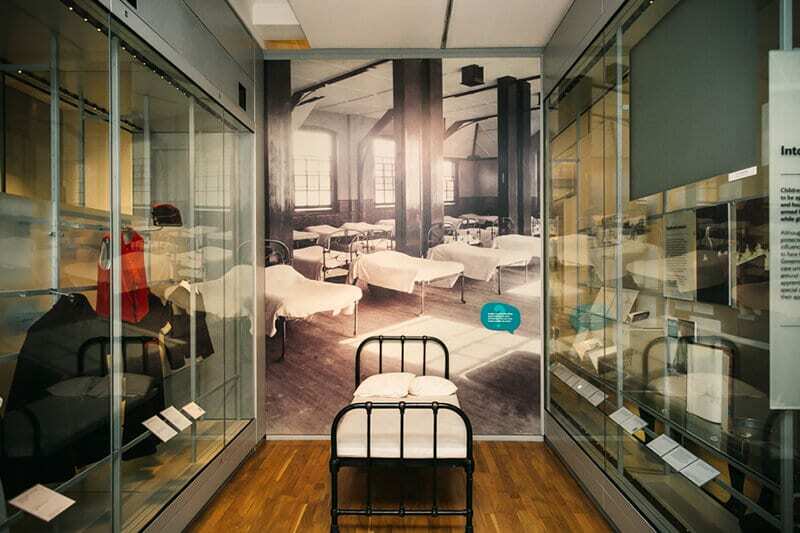 These fascinating tours helped create a mood of culture, music and conversation – all conducive to building relationships. 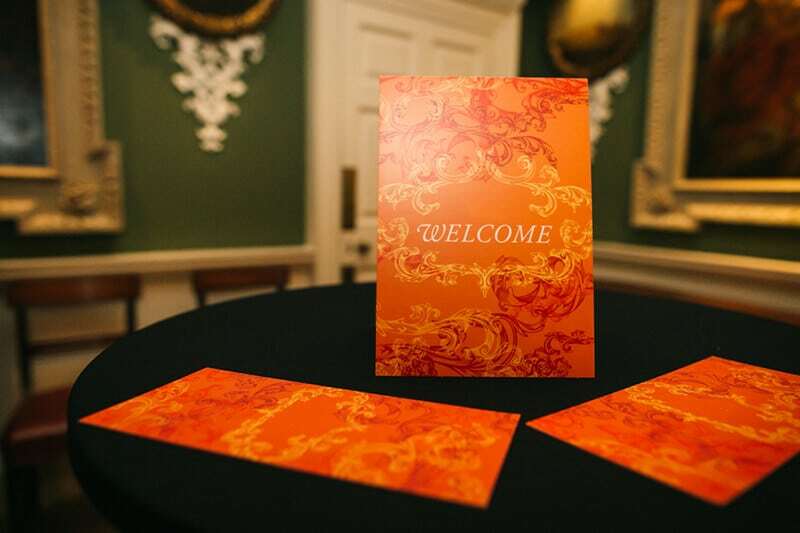 Our team created the digital and print invitations, the digital ‘date for your diary’, travel directions and digital thank you. 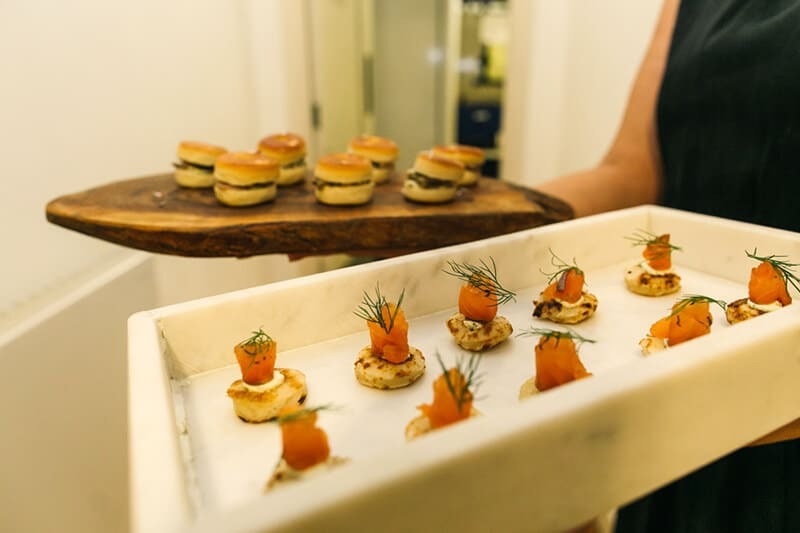 We selected a unique venue that drew in our client’s guests and worked closely with the museum to bring in a caterer experienced at working in heritage venues. We managed logistics, production, entertainment, specialist insurance and health and safety, and handled and shaped the event flow on the night. 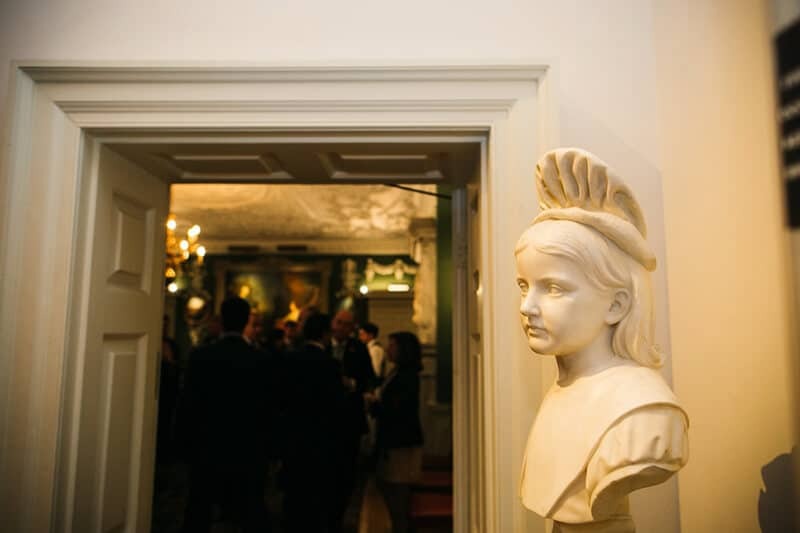 The client was delighted with the success of the evening, and felt that they had created a cultured environment where their guests could relax and explore, and our client could build on their relationships and connections.